Stunning modern grey kitchen with oak block worktops This is the final phase of our current project, the installation of this striking grey kitchen with solid oak block worktops. This kitchen just looks awesome with the contrasting light and dark gloss doors. 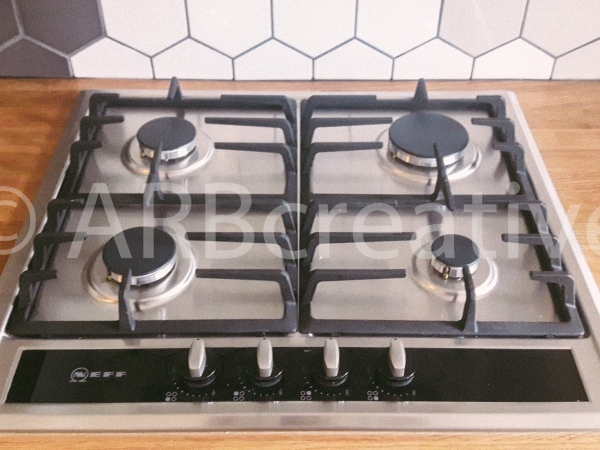 The kitchen has chrome oven , hob and extractor and a brilliant ceramic tile design which adds to the overall look of this room. 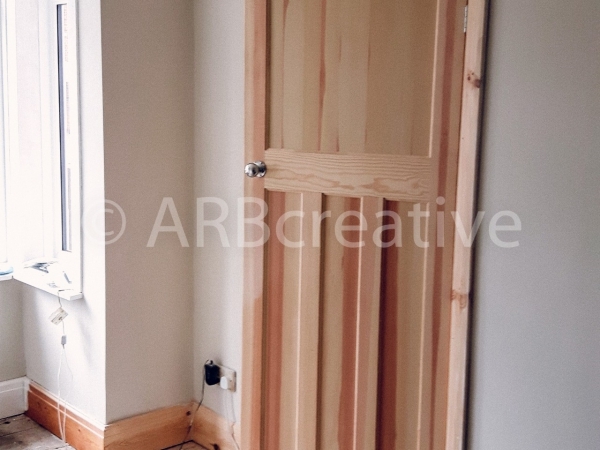 Bespoke exterior wooden door installation. Bespoke exterior wooden door installation. 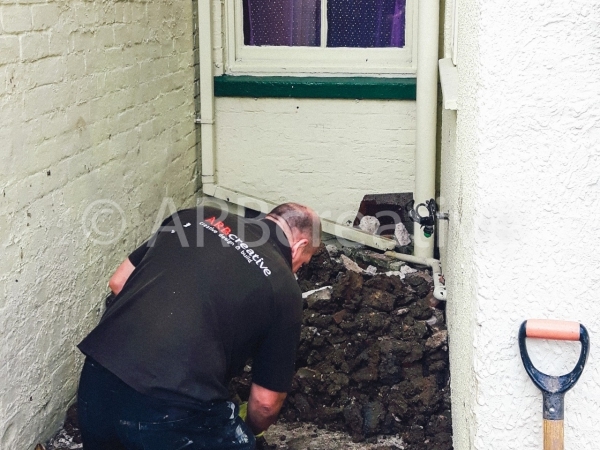 Another aspect of our work on this project was to take out the old box sash windows and lower brickwork . We then installed these amazing wooden French doors. The first phase of this project entailed the installation of new exterior drainage work , the pointing of brickwork and new wooden gutters. The exterior soil stack required relocation due to the proposed installation of new wooden doors. The underground pipework also needed to be relocated to accomodate the new layout of the proposed new kitchen. This project involves numerous alterations to the building before we can begin the final steps of fitting the fabulous kitchen. Secure cat run enclosure design and build project. 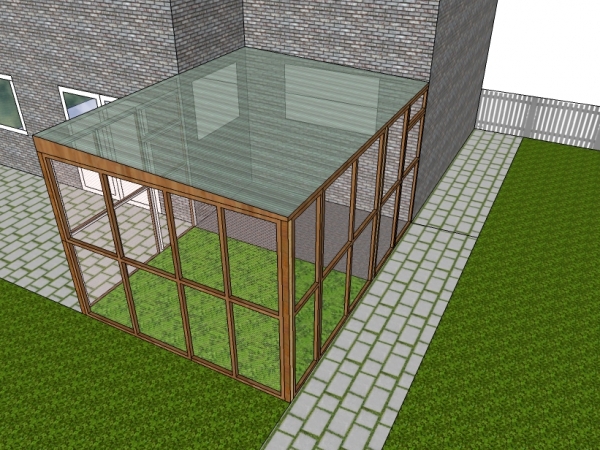 Secure cat run enclosure design and build project. This secure cat run with access via a cat flap has just been completed. Our client required this secure run because of concern for one of her pets which had previosly been hit by a car. The run is accessed via a cat flap through the conservatory wall and we installed a number of shelves and wooden rope ladders to get the run ready for immediate use. The run has industrial grade fibre glass roof to keep the worst of the weather off. 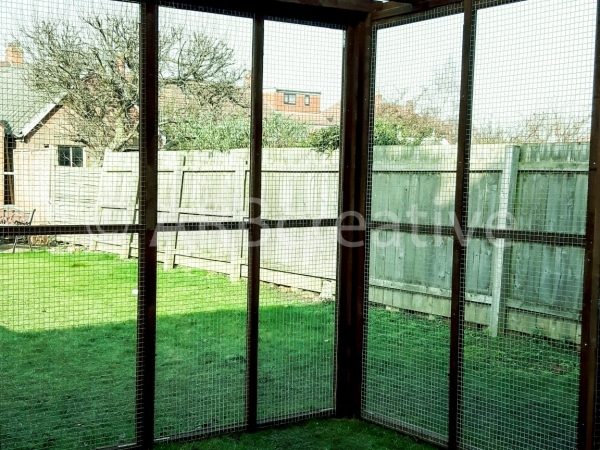 Cat enclosure design and build projects in Hull and East Yorkshire and another happy client. 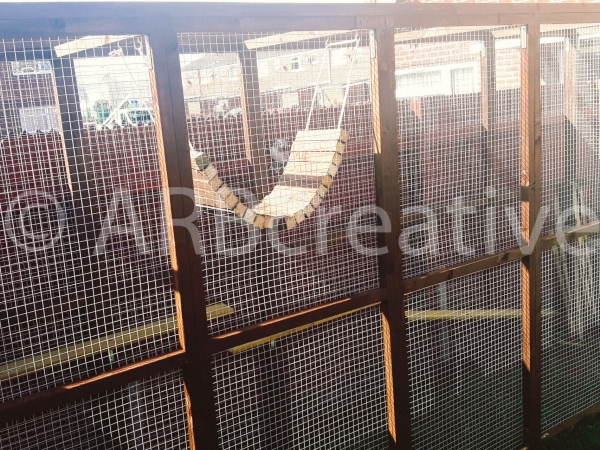 Our latest project was to build a new secure outside play area for their lovely pets. Exterior grade treated timber used throughout and then weather proofed with a dark oak wood stain. The mesh we use is 16 guage galvanised welded wire which will look good for years and is also fox proof. 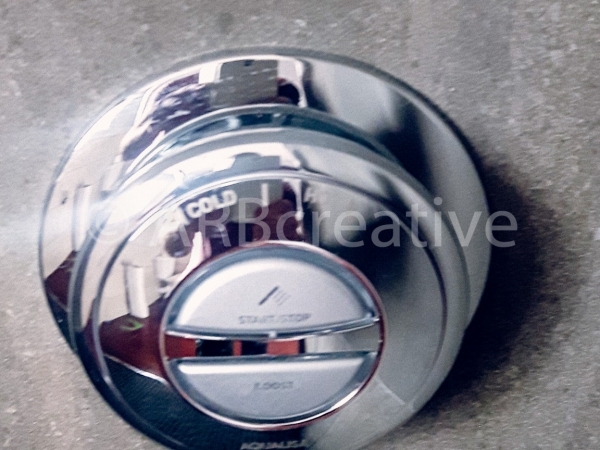 We installed a cat flap to allow the cats free access to the enclosure and the roof is an industrial grade corrugated fibre glass which will withstand any inclement weather. 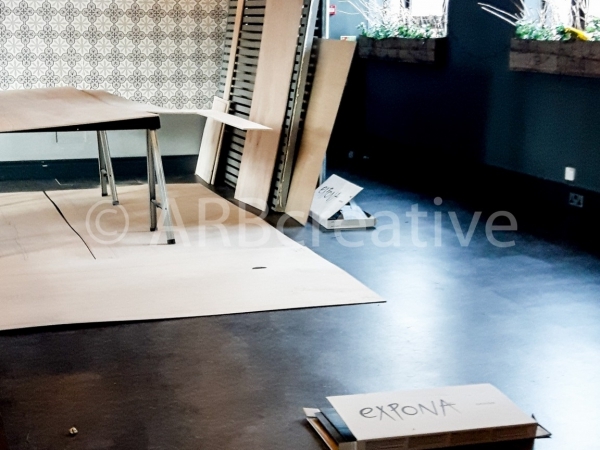 Flooring instalation in York We had a busy two days work laying over 80 sqm of sub floor plywood and then installing the new Karndean vinyl floor tiles at the Ambiente Tapas restaurant in York. This project was to build a large pet enclosure and play area for our clients indoor cats that just love to be outside. The enclosure panels are pre assembled using 50mm x 50mm treated timber, stained with a waterproof woodstain and then a heavy guage fox proof mesh stapled on. These panels willl then be assembled on site and fixed to the 4″ x 4 ” posts that we have already pre installed. Our enclosures provide a very safe, stimulating enviroment for your loved pets with 24 -7 access should you choose with access via a cat flap through the house brickwork. Due to the inclement weather here in the UK , we have been installing our enclosures with a heavy duty perspex corrugated roof which will keep the worst of the weather out so your pet can use it all year round.